I have a wanderer. My Little P gets up HOURS before anyone else and just...wanders. I don't think she noticed me lying on the couch in the dark, so she took the time to play with all of the toys and markers that her big sisters never let her play with. She found her oldest sister's favorite stuffed animal and tucked it under her blanket so she would see it when she woke up. And then she climbed on to the counter to get a cereal bowl out of the cupboard. That's when I decided that I should probably "wake up" and maybe stop her before she falls to her near-death in the dark. Unfortunately, she had already seen the leftover icing on the counter and we had a long battle in the dark about whether icing was an appropriate substitute for milk over cereal. In the end, I convinced her to go wake up her Dad and then pretended to be asleep when he came out to tell her she couldn't have icing for breakfast. You know...the plague and all. Luckily though...all that lying on the couch means I have more time for editing tutorials! 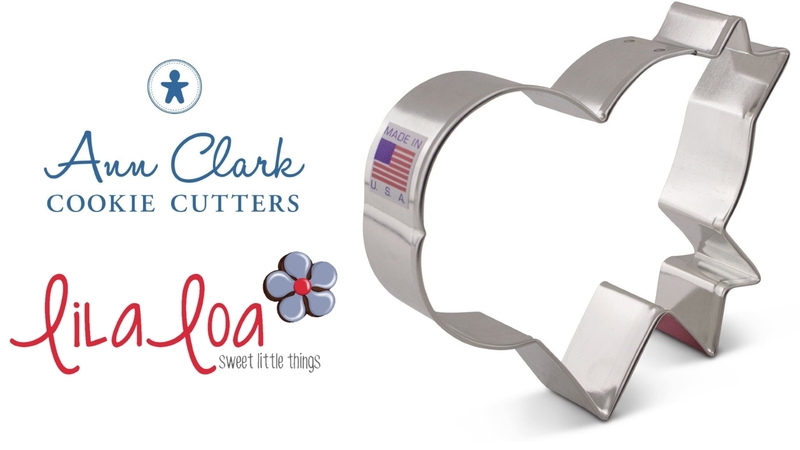 And it's perfect timing because Ann Clark Cookie Cutters just released the very first cutters in my new line of cutters with them!! (See all of them HERE.) 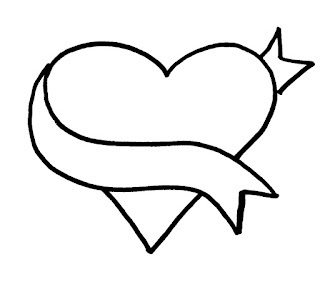 Want to make the Banner Heart with me?! 1. I don't know what my problem is...but I simply cannot make myself take a photo of only 3 steps. So step 1 -- bake that cookie. 2. Outline and fill the banner area of the cookie with a medium consistency white icing and a #3 tip. Keep in the mind the shape of the heart. Let it dry for a couple of hours. 3. 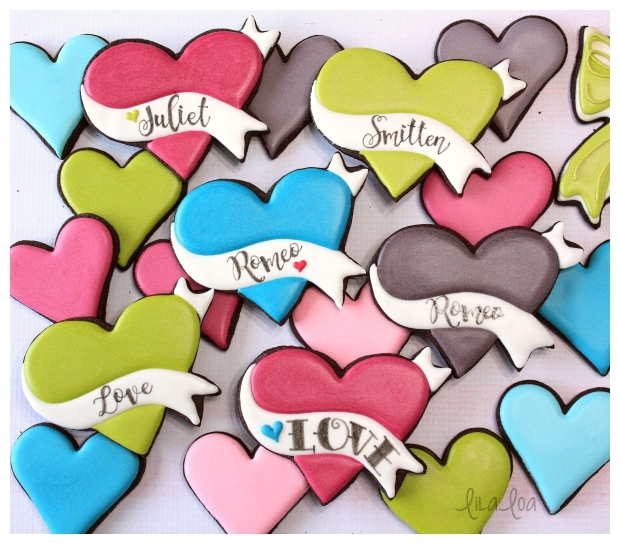 Outline and fill the heart area of the cookie. You can kind of push the icing over the top of any areas of the banner that crept into the heart space. Let dry for another hour. 4. 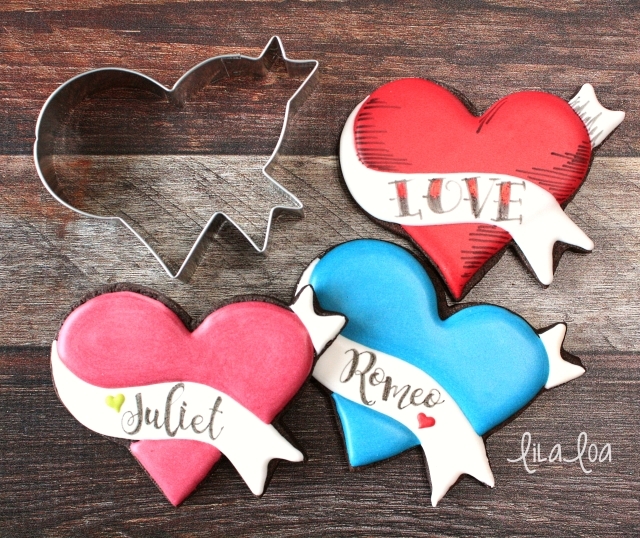 Use a food color marker or thick icing to pipe a name or words of love across the banner. I also made you a template in case you are feeling a little nervous about that banner area. And because I clearly just haven't put enough images in this post...you can see it's super easy to make this into a tattoo version as well!! Grab the Banner Heart cutter HERE. Get the Basic Heart cutter HERE. 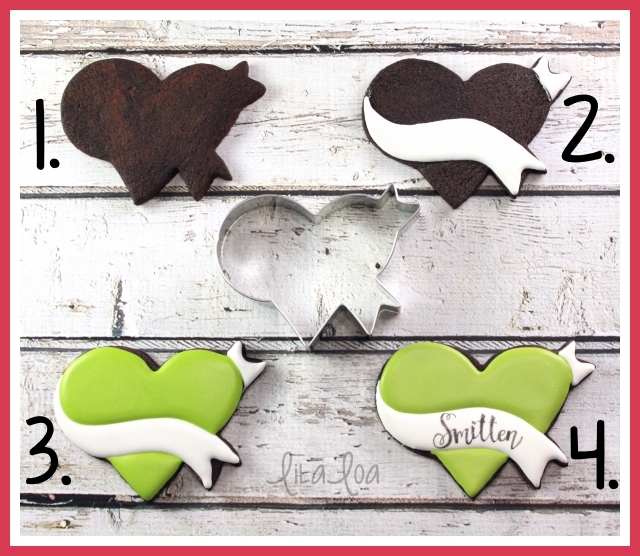 Make some simple HAPPY HEART cookies to go with them!